What happened to 'take back control'? Who’d have thought it? All those demands for a return to ‘Parliamentary sovereignty’ during the EU referendum were just plain opportunism. Because when it comes down to it, the Tory right will do anything to push through their vision of Brexit. 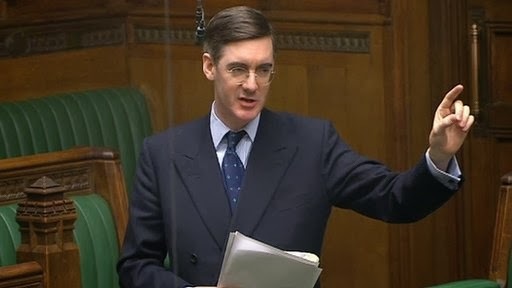 Today Jacob Rees Mogg used his Bruges speech to argue that if Yvette Cooper’s amendment passes next week – giving MPs (rather than the government) control of the Parliamentary timetable and delaying Article 50 – the Queen should ‘prorogue’ Parliament. That means shutting down Parliament until Article 50 expires and we crash out of the EU with no deal. Cooper’s motion (like that of Tory MP Nick Boles) would mean suspending ‘standing orders’ – the rules on how Parliament works – to put MPs in the driving seat. Surely a radical turn towards true Parliamentary sovereignty? But Mogg will have none of it. NEW: Jacob Rees-Mogg says Cooper cannot succeed in taking no deal off the table if “the government is prepared to stop it”. Now, of course, he is arguing a ‘people’s vote’ would be a betrayal of the ‘will of the people’. As Vernon Bogdanor noted, for the Brexiteers, there would be endless referendums until they won. Then, suddenly, the sovereignty of the people would come to an end. Clearly, when it comes to the Tory right, buzzwords like ‘sovereignty’ are just a means to pursuing their warped ideology.